The OBA was elected to provide Bermuda with more transparent, more accountable, more responsible government. With those goals before us, we’ve made big strides in progressing freedom of information, transparency, accountability and responsible spending. It’s a work in progress because we’re trying to reverse a culture of secrecy, red tape and waste built up over many years. In the 2009/10 fiscal year, the Government’s travel budget for all Ministries was $6.7 million. The travel budget this year is $3.1 million – less than half what it was in 2009/10. As Premier, I’m responsible for all Cabinet Office activities. In 2009/10, its travel budget was $612,000. This year it’s $177,000 – down 71%. We ended the questionable system that allowed Ministers a daily travel allowance without requiring them to submit their spending stubs. 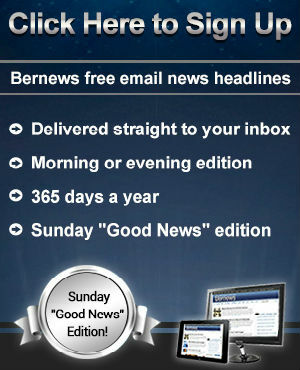 In 2014, we made Public Access to Information a fact of life in Bermuda – a first – anchoring the relationship between citizen and government to principles of accountability and transparency. In 2015, we implemented a Code of Conduct for Government Ministers. All ministers have signed this document that requires them to meet the highest standards of governance. In 2014, as Premier I set up the web page enabling the public to see the cost of travel by Government ministers. They are instructed to post their costs as soon as possible after the travel, and this has been done without fail. It is through this travel web site that the public was able to learn about the cost of the Rio trip – exactly as the webpage was intended to work, with Government ministers reporting back to the people. What the situation says to me is that despite our progress, we still have a ways to go to make the system work as intended. In this instance, we got caught between the cost of a relatively late booking due to ministerial changes, an extremely expensive destination due to the Olympics and our duty to support Bermudians competing in the world’s biggest sporting event. Have we learned from this episode? The concerns expressed are well founded. There was clearly room for more oversight and cost efficiency and this will be discussed at the Cabinet table and with the Civil Service Executive. Our aim is to make the system of government work better. To get us there, government needs to be open, making it possible for people to get the information they need to hold their representatives to account. That’s exactly what happened in this instance, by virtue of the transparency measures we put in place. It’s an outcome that challenges us to be better, more vigilant. That’s the system we’re building and we wouldn’t have it any other way. We we will continue to do more in light of this situation – strengthening the process governing ministerial travel with even more accountability. People’s concerns on this point are well founded. 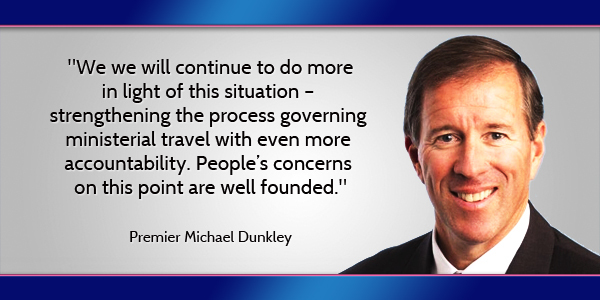 Update: The Premier’s office has provided a correction to its comparative analysis of Cabinet Office spending on travel, saying that the travel budget change is down 71%, not 200%. Dunkley so basically you’re telling the voters the Government controlling the public purse don’t steal, don’t lie and don’t cheat! Why didn’t just tell us the truth the UBP/OBA hates competition. Call the election or go milk a cow I don’t trust you. You clowns have been talking about travel gate for 2 weeks trying to brain wash the voters. Tell you what the voters are still waiting for the JET GATE report you refuse to release. Can’t be that bad you brought Craigy back as a Minister. @Rock Paper Scissors Really? You don’t trust the OBA, but you had no problem trusting the PLP, a government that had a travel budget that was 2X larger and nobody had to account for a dime? You trusted a government the hundreds of millions of dollars that to this day are unaccounted for? You trusted a government that drove us billions of dollars in debt? You trusted a government that drove businesses away from Bermuda and in order to HIDE the true unemployment figures, they over a thousand extra people to the civil service? You talk about Jetgate and harp on that! Jetgate let to no business exchange and cost the taxpayers of Bermuda $0. Have you ever looked up YOUR former premiers leaders business practices with Globalhue? You do realize that Dr. Brown took his own ride about a business associates jet. What did that ride cost us? I will let you see for yourself. Just Google Dr. Brown and Globalhue and then report back here with your updated thoughts. Something tells me you won’t. Its easier for you pretend you don’t know and spew hatred. THE TRUTH MAY HURT FOR A LITTLE WHILE BUT A LIE HURTS FOREVER. WELL ONLY UNTIL NEXT ELECTION. STOP COMPARING THE OBA TO THE PLP AND GROW SOME BIG BOYS SHOES DUNKEY. THis to shall pass! Now where have I heard that before. Do you remember. I’m still hurting. With the latest polls,the FACTS remain, the next election will be decided by the swing voters and those who chose not to vote! Who do you honestly believe chose to abstain from voting last election?? Sorry,but it wasn’t OBA supporters!! These were PLP supporters that were unhappy with the PLP. But with all the empty OBA promises and these same people feeling they are no better off and in some cases, are worst off then in 2012,will be out in droves next election! OBA,continue to point the fingers at a party that was VOTED OUT…you will get what you asked for! !MARC MY WORD!! You only want them to stop comparing to the PLP because it makes the PLP look so bad. Zevon? Zendrive? serengetti? serengtti…..we want them to stop comparing the OBA to a government that was voted out in 2012!! Your vote didn’t win the election,you vote OBA know what matter (blind follower) It was my families 10 swing votes that sealed the deal for the OBA but this pointing the finger at the former government doesn’t sit well and its getting tiresome!!! WE ALL KNOW WHAT HAPPENED IN THE PLP GOVERNMENT!!! The OBA are not living up to their platform promises. They are continuing questionable practices at the same time telling us they will do better but then point fingers and say “well the former government did this” That is not what the swing voters want to hear and I guarantee, you and your loyal supporters are going to get a rude awakening next election!! REMEMBER THIS DAY!! The PLP have already been held accountable for their actions. They were voted out in 2012. The OBA already won one election based on the PLP’s performance. Do you think they should win two? Stop it already and look at the OBA’s record. PortRoyalGate, DockyardPierGate, BerkeleyGate, BdaCementCoGate, BdaHousingGate, TStreetGate. TuckersPointGate, CedarBeamsGate, BeyonceeGate, Globalhue / PLPJetgate, and so on. The fact is if the PLP get back in as Government the Island of Bermuda is DOOMED TO FAIL in every aspect of Government. I am not blind, the PLP have zero talent to run a country. The PLP are worse off now then they have ever been in history. YOU just need listen to the nitpicking from the PLP to know this, there is nothing the PLP say or do that help the public handle the issues of the here and now period! Dunkley, do you think we’re not paying attention? Nothing more than hollow words. This 2 days after your Minister Michael Fahy told us that your cabinet will not answer the Commission of Inquiry on the airport. Seems like you aren’t reversing anything, you look like you are cementing the culture of secrecy very well! If you want people to start taking you seriously why don’t you stop being secretive and tell us what your government is hiding from the Commission of Inquiry. If everything is OK, then you should be happy to share it. What a load of nonsense. The only reason you are informed about the cost of the trip is that YOU WERE INFORMED about the cost of the trip. How many trips were taken and how many hundreds of thousands of our dollars were spent carrying Ewart and his entourage all over the world? China? India? We only have a general idea of the total for the years…no specifics at all. This is exactly what I’m saying….pointing the finger at someone that was a leader of a Government that was VOTED OUT IN 2012. As a matter of fact he wasn’t even the leader when the OBA won the election! This is getting sickening…BUT CONTINUE, YOU WILL HAVE NO ONE TO BLAME BUT YOURSELVES…just wait and see!! Sickening? That is exactly what I thought when we were paying out for EB’s smug little group sitting in business class. Sickening. Didn’t seem to bother you one bit. The costs of those trips were never made public. Now they are….and it has NOTHING to do with anything the PLP did. You are sickened in this case but willfully and blindly ignorant of the past. UMM you are talking to the wrong person! !Obviously it bothered me and also 10 of my family members,the reason for me and my family to VOTE OBA last election..read my comment! As for being willfully and blindly ignorant of the past..IM NOT! !BUT Leave the past where it is…DO YOU SEE ME BRINGING UP SLAVERY AND ALSO QUESTIONING WHY YOU ARE ENTITLED JUST BY THE COLOR OF YOUR SKIN?? Don’t go there!! BTW aceboy…you are going to need my families 15 swing votes(5 more eligible voters since 2012) not to mention other family members that chose NOT TO VOTE last election! WILLFULLY turn a BLIND eye to that comment! 5 more!? Sounds like you lot better ease up. what an idiotic reply! FYI 5 married and very successful siblings with children that are of voting age NOW…but I can see how you feel threatened. How is the rush to process those PRC applicants seeking citizenship, working out for the OBA…time is drawing near! Proud to be Bermudian whoa oh oh!! I liked when the PLP were the government, because when they sais or did something stupid it wasn’t even news. Why? Because it does not fit the governments purported birth rate findings for a country with the tenth highest population density in the world. So, you are going to influence 15 people to vote for the PLP again? I just pointed out that we had no transparency on travel costs at all from the PLP. You want a return to that??? What will you tell these 15 people? How will you show them that the PLP is a better way forward? I would have thought the first step would be to show how great their track record was when they were in power. I suggest you start with travel costs, seeing as the issue really bothers you. Word of advice OBA members and faithful followers. Take it from swing voters and many other PLP supporters who chose not to vote in 2012 because of our unhappiness with the then PLP government….STOP POINTING FINGERS AT A GOVERNMENT THAT WERE VOTED OUT BY US!! IT IS AND WILL HURT YOUR CHANCES AT THE NEXT ELECTION…I PROMISE YOU!! We voted you in on the promise of your platform and the best you can do is reap about what the past government did! THE SWING VOTERS AND THOSE WHO CHOSE NOT TO VOTE(PLP SUPPORTERS)LAST ELECTION DO NOT WANT TO HEAR THAT BECAUSE YOU ARE NO BETTER!! !I shall say no more!! The only winner will be Doctors and the Pharmacies that prescribe pressure pills,anti depressants, anti psychotic medications after the next election…I’m not trying to be funny at all, I’m serious! KEEP POINTING FINGERS AT A GOVERNMENT THAT WAS VOTED OUT 4 YEARS AGO…you are not doing the OBA and your supporters any good. Take it from a swing voter! You just contradicted yourself in the same paragraph! First- “who chose not to vote in 2012 because of our unhappiness with the then PLP government” second- “We voted you in on the promise of your platform” Which is it? You chose not to vote or you voted for the OBA?! Your a swing voter eh? You don’t know at this point in the game who you support?? Whats that saying about playing both sides of the fence…..? Hey eistein, How did I contradict myself? I said take it from SWING VOTERS(my family who are PLP but voted OBA last election) and OTHER PLP supporters who chose not to vote because of dissatisfaction with the then PLP government.LOL you do realize when someone who supports one party but decides not to vote is actually helping out the other party!! What an idiot!haha thanks for the laugh! And like it or not you gotta hand it to boh Plp and Oba faithfull supporters- at least they know what they stand for and stick with there party! MERCY, YOU ACTUALLY SAID THAT! no matter how many issues the party has? ?….just turn a blind eye to it because your a diehard faithful!! I JUST THOUGHT YOU WERE AND ID!OT BUT YOU KEEP OPENING YOUR MOUTH AND PROVING ME RIGHT!! The last time I reply to someone who has the brain and morals of a rock! The only swinging you ever did was in the playground. You are plp all the way and not because you have faith in them but because that is what you were taught. I hope you teach the other five to keep their minds open. I’m only going to make you relevant for this one reply now listen up. My family were originally PLP supporters that LOST FAITH with all the controversy and over spending and moneys that were unaccounted for….the reason for my family deciding in 2012 to swing and vote for the OBA, that on their platform promises, looked to be the best party to Govern Bermuda! I’m not a blind and immoral follower(hint,hint) that no matter how corrupt the party is,will turn a blind eye and a deaf ear because of loyalty! (POT CALLING KETTLE BLACK) You have NEVER and will NEVER vote PLP no matter what! Now you and what you say are irrelevant to me. I’m not saying I condone the excessive cost for the Olympics, but it is small potatoes compared to things that occurred under the PLP. Some people are just looking for things to criticise and you have given them a bone. But how much are we paying a year interest because of the debt racked up under the PLP? Ya, thought so, why aren’t those same people demanding answers from their beloved PLP for that one?! What ppl did they did. They continue to Make one mistake after another. No doubt they are making massive strides reigning in the expenses compared to the PLP. That’s all I’m saying. When given the two options, I’m still voting OBA every time. If the PLP get in they’ll be taking us from the plantation to the slaughter house! After trying to read that. I see how the education system has faild us for the past twenty years. I am with you! (Not voting) both parties are a disappointment run by fools and greedy axxxsxs. The present party does not have the balls to run an effective government and the green party does not have a clue on how to run an effective government. I’m not saying crap. I’ll say what I need next election with all fingers curled except the middle when he visits my house. Yet they are spending one quarter what the PLP used to spend on travel. So I’m anybody and everybody who doesn’t agree with you? haha this story is 2 days old…I had a feeling that you would respond. Old news sunshine…Bernews has posted some interesting stories today the 27th so leave the 25th and take the time machine into the future and meet me on the 27th. haha thanks for the laugh sunshine! Nice try. Richards blew it with his late booking and did a poor job representing Bermuda with his attire. By the way, you cannot be down 200%. A drop from $612k to $177k is a 71% decrease. Small point but typical politics. LOL – I thought the same thing – how are you down by 200%? But math isn’t Dunkley’s strong suit. I have another question – if all Minister’s signed a code of conduct – why is Richards still a minister after this fiasco? Try this math figure out. $800 mil / 14 years / 12 months = 4.76 million which represents the average amount of money that was listed as unaccounted for for every month the PLP was in government. You are aware that $800 million figure is now about $1.6 billion under the OBA? $1.6 Billion /4 years / 12 months = $33.3 millions which represents the average amount of money that was listed as unaccounted for every month the OBA has been in government. Try to focus on the topic. It’s not even the PLP who is loudly criticizing Richards’ trip – it’s the general public. Perhaps even the PLP knows it would be hypocritical of them to criticize government travel costs? This is the logic our dear friend “Spock” does not possess…oddly enough – given his “Vulcan” bloodline. If all Minister’s signed a code of conduct – Why is Richards still a minister after this fiasco? E X A C T L Y ! ! ! ! ! an how can someone represent Bermuda in the world stage when his beliefs practice oppression and division by denying equal rights for all!!!! To base it on the $177k they are 250% less. It may have been poorly worded but it’s still a significant number. I agree it is significant. However, the way they have calculated it is just not how statistics work. Any wonder why no one trusts politicians? However, you can say that $612K is 200% higher than it is today at $177K. The PLP $612k is 345% based on OBA $177k (3.45 times higher), whereas $177k is 29% based on $612k, or 71% reduction – depends how you spin it but either way, it gives a very clear picture. This is poor. Premier if your only defence is to say “look at what the plp did” you will succeed in being the only one term government in Bermuda’s history. It’s simple, you had TWO ministers attend the same event. If Minister Gordon had her ticket booked then she should have represented the Cabinet. End of story. Stop making excuses! We know the plp were bad, but you all are acting no better. Between this and the airport I’m wondering what are you all thinking! @Politrix. Its an election year(I’m sure you know) there are only two parties. Why should he not criticize his opponents lack of governing skills? I agree, if Minister Pamplin Gordon already had the tickets booked and they were nonrefundable then she should have been the one to go either on her own or with the PS. At the very least Minister Sylvan Richards and PS Carey should refund 50% of the cost. What happened to following Financial Instructions? This exorbitant ticket amount should have been enough to raise a big no. And why is the Government only using Worldview Travel and not booking direct online or with airlines with credit cards. Big cost savings there! Hell, a third grader could have prevented this fiasco. One question though, do Ministers discuss their travel plans at Cabinet meetings? If not, they should! 10 k for a flight to Rio????? Justify that rather than talking about what the PLP did. Yes it’s great that there is more accountability but that flight is still taking the p*ss be it PLP or OBA. Down over 50 percent and 71 percent. Thank you for millions of dollars saved. Well. There you have it. Right in front of you! The OBA are clearly making an effort to cut cost. I would love (but cringe) to see the plps cost to tax payers for each year (while in power) for travel! how about a freeze in non-essential travel like going to the games , I can guarantee you Bermudians participating gave a crap about seeing him there. Million saved but a bigger deficit EVERY YEAR which we all will pay the rest of our lives . What was the reason for the SAGE REPORT again I call BS. Totally agree. Richards showed extremely poor decision making skills demonstrating nothing more than a sense of entitlement. Obviously he felt it was a perk of his position and he was going to take full advantage of it. Why did he need to take a civil servant? Needed help with his bags? I guess he felt having to carry his own bags were beneath someone of his position. Did Dunkley pre-approve this or did he find out after the fact? Richard’s should be asked to repay the money as a matter of principle. We voted for something different, not more of the same but on a smaller scale. LOL only in Bermuda can people complain about a government that tells you what they have spent vs. previous governmens who refused to…. Bermudians on this site seems to miss the days when they were blind sheep being told what to do and when to do it..bhaaaaaaaa SMH. Actually the OBA didn’t introduce PATI, that was done in 2008 under Dr. Brown. The OBA did amend PATI to give the public less access to information. Actually PATI was introduced by the PLP but they NEVER enacted it. It looked good but they actually made sure it never saw the light of day….until the OBA enacted it. The PLP may have introduced PATI, but somehow, for four years, they never got around to implementing it. The OBA did. And your statement that the current PATI provides less access is, well, I want to say B______t, but let’s just say you are not well informed. you’re missing the point M8….I voted for change in 2012 after watching my party spiral out of control. I was told spending under an OBA Govt will be controlled. I was told that fiscal responsibility comes before the attitude of entitlement. To point to the PLP years and say ‘well they were worse’ shows political immaturity….in other words, MD SR and the PS need licks. PGP gets a pass as she was already committed. Are you for real? The UBP was the government for decades so who would the compare against? The PLP certaily wouldn’t have been foolish enough to make such comparisons against the UBP spending. that would have been political suicide. Oba. Let me know when the Bta will be funded on its own. maybe we could ask Global Hue for a refund since they did ZERO. Now enter the OBA, constantly shrouded in controversy, getting up everyone’s nose and doing what you want (not what the people necessarily want,*airport*) and doing pretty much everything you scolded the PLP for during there time in Government. THE OBA ARE JUST AS BAD AS THE PLP. dunkley… you and your party ratings ARE IN THE TRASH CAN FILLED WITH MUDDDDD!!!! The P.L.P. were in “power” for 14 years. oba has shown its dirty laundry after only 4 years in “power”. I am an OBA supporter,and what Minister Richards spent on the trip to the Olympic ‘s did not do the party any favors. Something is very wrong here! So much so that it sends chills down my spine and it lets me know that all of these lot are self serving individuals that need to spend time doing some serious reflection! I will not appluad you for cutting the budget in half, firslty. Secondly, Bermuda is in a sad state of affiars so going from $6.7 million to $3.1 million is your civic duty. I would be more impressed if the new budget was watered down to a figure in the hundreds of thousands. 3 million on travel is insane giving the current economic climate Bermuda is in. You have a public education system that could have greatly benefited from monies wasted on personal an self serving interest. This budget needs to be cut even more to impress me. Shave of a million and provide children with breakfast. Or provide more scholarships because Mr. Richards is going to have to spin the truth before I believe another word out of his mouth about our finances. Either we have money or we don’t. But please do not insult my intelligence, clearly we are not that broke if we have a government who has a 3 million budget solely for travel. Flora Duffyight consider office though. It aeems she is well suited to champion cause. OK, Mr. Premier, – so now you are out front and made an official comment regarding this issue. You’ve supplied a number of points related to $ savings and recent initiatives, and you claim you have learned from this issue. But, the question still begs. How and why was this allowed to happen and it’s very “transparent” to the public, you and the OBA have not learned from previous government? I don’t vote, because Bermuda is to small for party politics. But I do favor the OBA, only because they are making strides in the debt. But they are also full of hot air. We never see the milk man on the streets, he’s a wimp when its comes to making a decision, you are put in power to make the decision. Stop kicking the ball down the road. The streets look horrible, the roads are getting tighter because all the hedges growing into the road. You all said you can do the job, UNTIL it comes time to DOING IT. But like I said we know what we have don’t know what we are going to get.. SAD BAD OBA:(:(:(. MS PAMPLIN HAD HER TICKET IN ADVANCE & COULD HAVE DONE WHAT WAS NECESSARY THERE. MR RICHARDS CAME LATE & SHOULD HAVE STAYED HERE + HIS PERMANENT SECRETARY BINNS. BUT THOSE TWO WANTED THE POMP & GLORY, SAD BAD OBA!!! THE PLP BETTER LEARN FROM THE OBA & THEIR MISTAKES WITH THOUSANDS STILL OUT OF WORK OR IN “OTHER” TYPE JOBS + THE OVER 65 AGE GROUP INCREASING! Come on Roger, Binns is not his Permanent Secretary, it is Carey. AND THE PENSIONS BEING ANYTHING BUT AN EMBARRASSMENT!. If you go to the website (link in the article), for 2016, according to what has been reported, they have spent $87,533.25. So, if there is true transparency here, this means they have spent 2.8% of their yearly travel budget so far this year. So if this is the “truth” then they can cut their travel budget tremendously. However, to me, this low percent sounds fishy, and what I believe is that they have only reported less than 2.8% of their travel expenses for 2016 (the year is almost over). Is this true transparency, or their usual distraction, broken promises and lip service? So the PLP raids us with no transparency and the OBA raids us with 2.8% transparency, which is pretty much indistinguishable. What is most alarming is the poll results today on confidence, transparency, trust and unity where both parties scored a dismal failing grade. Does that mean that the environment is now conducive for a third party? In my opinion it does but it is too close to the next election for a third party to have an impact. Who will lead that third party and where will the resources (people & money) come from to make it viable? Just like in the US the electorate in Bermuda supports political parties out of blind loyalty and not in the best interest of the island. The fact that in both parties some of the brighter minds do not support their leaders speaks volumes! What we are experiencing in Bermuda is failed leadership. Yet both leaders remain at the helm of their respective parties. How does that happen is the question? The environment has been right for some time now, but any ‘third party’ has to think long term and be willing to put up with initial disappointment for an election cycle or two, while they build up support, resources and a reputation. The OBA had a slam dunk after the PLP’s rule, and couldn’t get it together! Selfish, selfish people, all of them! dunkley… you and your party ratings ARE IN THE TRACH CAN FILLED WITH MUDDDDD!!!! Whenever this government cannot justify their actions they regress to talking about the former government. This is a sad state of affairs. Whatever happened to that consultant they were going to get to help them with connecting with the people. If they did get one they need to be fired because they are not getting any better. as others have said if Minister Gordon Pamplin already had her tickets then the leader should have had her represent the country. Furthermore the way Mr. Richards was dressed suggested to me he was on Vacation and should pay for his own vacation. Why the PS was there escapes me completely. I can’t believe the moaners that live in this country. This spinmaster should get his head out of the pope’s business and pay attention to the people’s business or get out!!! You base statistics on 402 people out of 60,000? Dunkley needs to go back doing what he does best, MILKING COWS.